The Supreme Court on Wednesday extended the deadline for an accountability court to conclude trial in three corruption references against former prime minister Nawaz Sharif and his family until June 9. 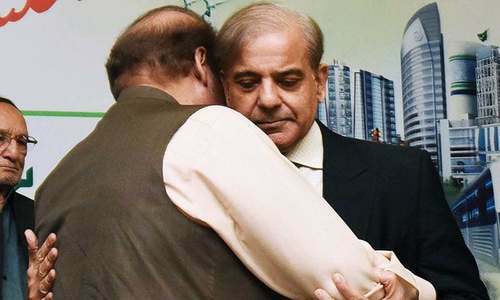 "We are certain the trial will conclude by June 9," the court ruled after hearing arguments of the National Accountability Bureau (NAB) representative and the defence counsel. The accountability court of Islamabad had sought another extension to conclude the trial as the deadline given to it by the apex court will expire on May 12. At the outset of the hearing for the extension application today, Justice Ijazul Ahsan asked Special Prosecutor Akbar Tarrar why NAB had not been able to conclude the trial until now even though the court had given it enough time. The prosecutor responded that the third reference, concerning Avenfield properties, has been concluded and that "every case is being heard individually". Justice Ahsan observed that the Bureau would require additional time to conclude the first and second references. Justice Azmat Saeed wondered why NAB was delaying recording the statements of the accused under Section 342 of the Criminal Procedure Code (CrPC). After some prodding by the bench, Tarrar said the statements under Section 342 could be recorded on May 10. "Lawyer sahib, why is your attitude uncooperative with us?" Justice Saeed remarked, as he asked the NAB prosecutor for how many days the head of the joint investigation team (JIT), Wajid Zia, was cross-examined. The judge sighed with relief when Tarrar finally replied that Zia, a prosecution witness, was cross-examined for 16 days. The lead counsel for Sharif, Khawaja Haris Ahmad, urged the court to extend the deadline by three months to complete the trial in a "transparent manner". He said the next month would be Ramazan, when it would be difficult to take the proceedings further. But Justice Ahsan dismissed the concern, saying: "Many of our elders fought wars during Ramazan." "You can make us fight a war [instead]," Haris quipped in response. He contended that a month is too little a time for his client to defend himself. But Justice Ahsan assured him that the court will not let the defendants' right to a fair trial be affected. "We want that all legal requisites are fulfilled under Article 10-A (right to fair trial) of the Constitution," he remarked. The court assured Sharif's counsel that it would not let any injustice take place during the trial, even as Haris requested that his reservations regarding what he considered a short deadline should be recorded in the court's written order. 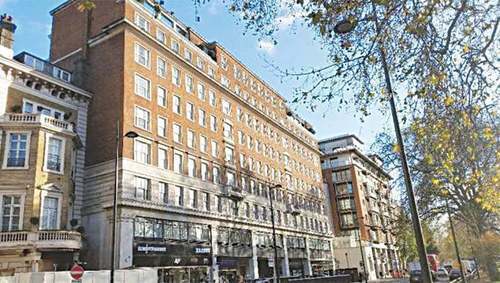 During the hearing of the Avenfield properties reference on Tuesday, Judge Mohammad Bashir had said that he sent a formal request to the apex court for extending the deadline, as proceedings in the Avenfield properties, Al-Azizia and Flagship references were yet to conclude. The judge had requested the SC earlier in March for an extension in the time frame to conclude the trial in the references filed by NAB in accordance with the directive of the SC given last year. Judge Bashir was not sure about the duration of further extension, but he remarked during the hearing that the remaining proceedings in the references would be planned in accordance with the time frame. The apex court in its judgement in the Panama Papers case on July 28, 2017 had disqualified the former prime minister and directed NAB to file three references against him, his daughter Maryam, son-in-law retired Captain Mohammad Safdar and sons Hussain and Hassan. The accountability court was initially given six months to conclude the references, while an extension of two months was given in March. NS Lawyers will play delay tactics again so be ready for another extension request. The more the delay in having a verdict on these cases. The more the damage Corruption will do to Pakistan. Moreover action needs to be taken against Mega Corruption cases of Corruption Mafia PPP as well. If new corruption cases don't pop up against the former corrupt Prime Minister of the Islamic Republic of Pakistan, his cunning family and crooked cronies, hopefully, all similar cases could be concluded latest by June 09, 2018. It is certain that Nawaz Sharif will be put behind the bar well before the election and he can't campaign and may be Mariam Nawaz too. Why can’t the accountability court work on holidays to complete the case quickly? If NS is not guilty he should be happy that the case is completed quickly with day to day even night hearings and on holidays Are media reports true that NAB prosecutor has been given a lucrative package by the government? The whole process looks suspicious. Only in Pakistan person with a deadline on his trial. We will never see justice done to arrest the corrupt. The saga will continue indefinitely. Only country in the world, so rich and resourceful, to continue such games forever! Degrees cases, election irregularity cases, assets cases, etc. etc. Everything relared to politics. But no real cause, no real objective. NAwaz and his associate have done so much financial damage to Pakistan that it will years to recover. Next should be Zardari. That means, so far, they couldn’t find any proof of corruption against Nawaz to justify his removal. You can hide but you cannot run. They will eventually get down to the facts and do what is necessary to get them, despite all the delay tactics by the defense lawyers. @Sid .Wishes are not a matter in courts. Time has no limit in our courts. Have patience. @Dr. Salaria, Aamir Ahmad The outcome of present accountability process is pretty much written on the wall. We definitely need to open another pandora box for no rhyme or reason. This is an encouraging note that defense attorney got a chance to cross examine the JIT chief for consecutive 16 days in a row, and should have no complaint whatsoever not getting a fair trial. It is an encouraging fact to note that the expected verdict, based upon this legal wrigglings dragging the inevitable unnecessarily for last eight months, is likely to be announced when the interim government would be running the affairs of the country. Therefore, any design of partisan administration to support political fallout of adverse verdict, will be out of question. 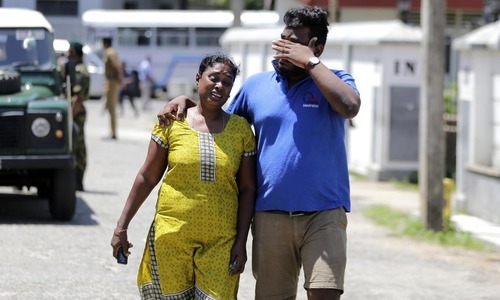 One can hope that the country manages to pass through these difficult time peacefully and securely, when all the political parties would be in the arena competing to form the next government. The people of this country needs a break after all. So nothing was found yet. Lawyers are helpless. It's a scripted drama that's been telecast to the nation. Almost everyone knows what the result is. Unless and until someone really wants to deliver true justice based, not on the crime committed but on the basis of evidence presented, the writing is already on the wall. The victims are hoping for the public to bring them in again to fix this. Unfortunately, it's way too late. It Nawaz Shari receives no punishment there will be an uprising. People have no voice because the politicians refuse to listen to them.